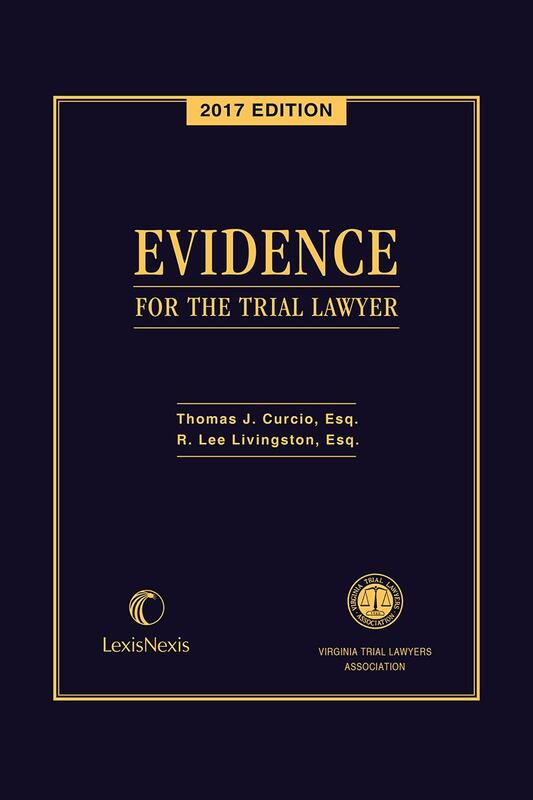 A VTLA classic publication, Virginia Evidence of the Trial Lawyer has been completely revised in conformity with the new Virginia Rules of Evidence to provide a useful guide and resource to practicing trial lawyers. A VTLA classic publication, Virginia Evidence of the Trial Lawyer has been completely revised to provide a useful guide and resource to practicing trial lawyers. Written by two leading attorneys in Virginia, this valuable resource offers practical guidance and authoritative commentary on the laws and rules that govern the collection and presentation of evidence in a trial. 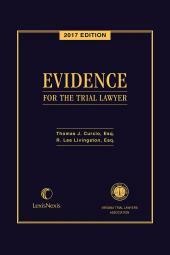 This publication carefully analyzes each topic within the context of relevant primary and secondary sources such as state and federal statutes, rules of evidence, and court rulings, and provides a comprehensive framework for understanding and interpreting the law of trial evidence in Virginia. 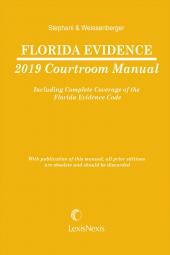 Complete with an appendix containing the Federal Rules of Evidence, this new edition is convenient and portable. It is sure to be an essential resource for trial practice in Virginia. Thomas J. Curcio is the principal of CurcioLaw, a personal injury law firm located in Alexandria, Virginia. A graduate of the State University of New York at Stony Brook and the George Washington School of Law, Curcio handles all types of personal injury cases, including automobile accidents, wrongful death, brain injury cases, and insurance litigation. He is the Immediate Past President of the Virginia Trial Lawyers Association, and has been active in that organization his entire career. He is listed in Best Lawyers in America, (Lawyer of the Year-Plaintiff's Personal Injury-Washington D.C. Area-2012), is rated AV by Martindale Hubbell, and is a frequent writer and speaker on evidence, personal injury, and related topics. He is a member of the Boyd-Graves Conference. Lee Livingston is a partner at MichieHamlett in Charlottesville where he concentrates on medical and legal malpractice and other personal injury claims, including auto accidents and defamation. A member of the Virginia Trial Lawyers Association Board of Governors since 1999, Mr. Livingston presently serves as President-Elect of the VTLA. He is a Bar Council representative to the Virginia State Bar. Mr. Livingston is former chair of the Virginia State Bar Litigation Section Board of Governors and the Virginia State Bar Mandatory Continuing Legal Education Board. He teaches Trial Advocacy and Trial Evidence at the University of Virginia School of Law, and has often participated as a speaker for continuing legal education programs. He has served on the Virginia Supreme Court's Appellate Rules Advisory Committee and Electronic Filing Study Committee, and the Virginia Model Jury Instructions Committee. He is a member of the Boyd-Graves Conference and chair of its evidence committee. Mr. Livingston is listed in Best Lawyers in America and was named lawyer of the year in Charlottesville for medical malpractice in 2012 and personal injury in 2014 and 2017 by US News/Best Lawyers. He is "AV-preeminent" rated by Martindale Hubbell and he has been honored for selection by Richmond Magazine as a Virginia "Super Lawyer."